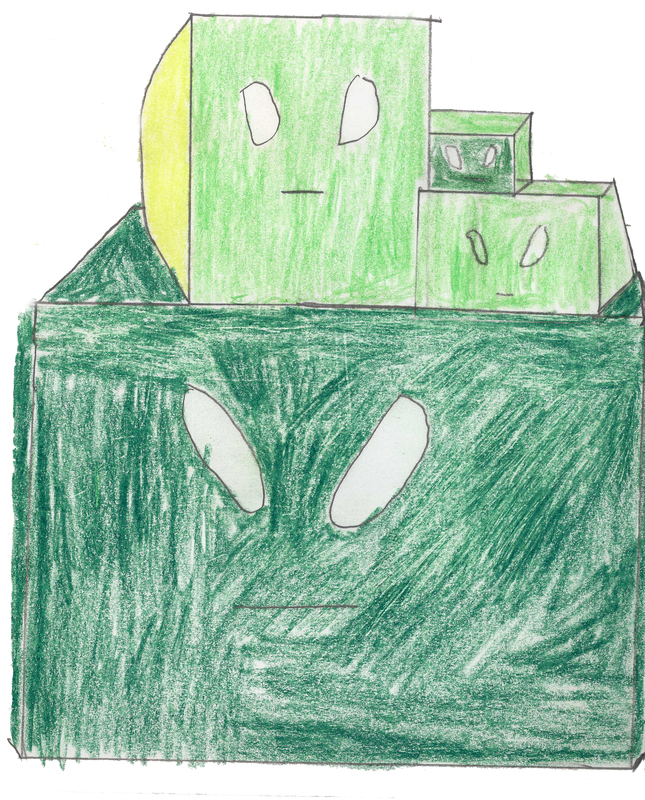 This piece is Color Squares: My inspiration behind was a Minecraft poster I saw but instead of the Minecraft slimes I drew them as boxes of different colors. In Minecraft from what I’ve seen the slimes are all the same color but in this drawing I decided to make them different colors to show individualism within a species. I think the slimes should all look a little different so they can be their own slime selves. What I would do differently is I would color the slimes more in different colors to show more individualism among the slimes.